I sure didn’t hear about chapssalddeok in the past but when I read it was Korean style mochi, I was so excited! 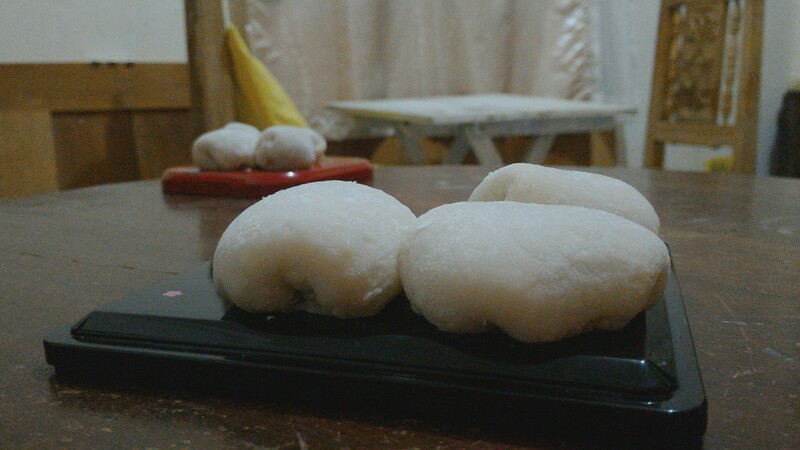 I tasted mochi ice cream years ago but sadly the shop selling them closed and since then I wanted to make mochi for myself to satisfy my cravings. Voila! Here it is! 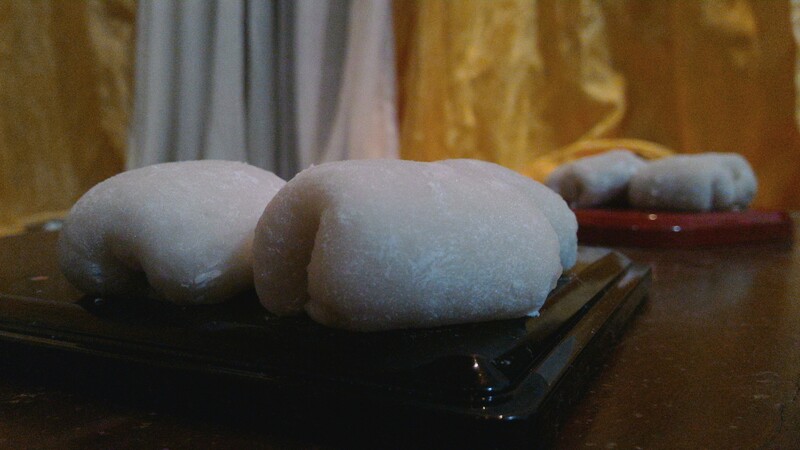 Mochi, or chapssalddeok, is a rice cake made from glutinous rice and has a soft and chewy texture. They are usually in the form of balls served with different fillings such as mungbean, chocolate, custard, and of course ice cream! I crave for them ever since I watched EXO Next Door. Yup! Chapssalddeok a.k.a. 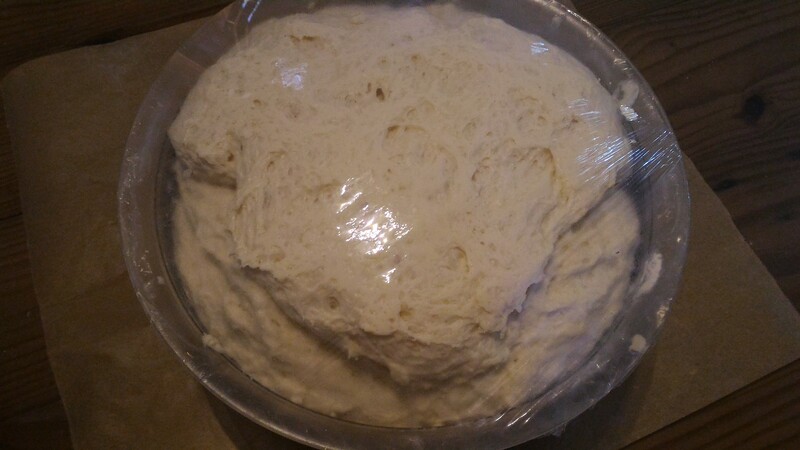 the rice cake that started it all ^^ Now I’m all set! I just need EXO to live next door! In a thick bottomed pot, add mungbeans and 6 cups of water. Let it boil for 10 minutes with lid closed. Mash beans until they are smooth or put in a blender if you want to have finer consistency. 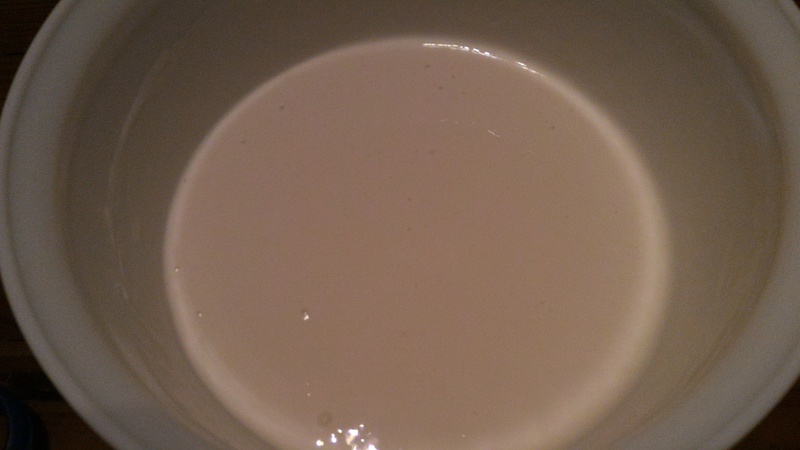 Heat ½ cup water and dissolve brown sugar, vanilla and salt. Using a wooden spoon, stir on low heat until the sugar is dissolved. Add 1 cup of powdered milk to the mungbean filling, mix well then set aside. 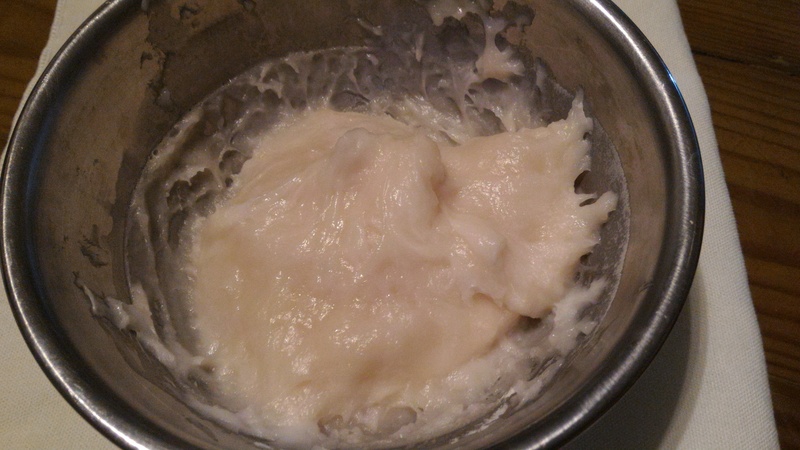 In a heat resistant bowl, mix glutinous rice flour, salt, and sugar. 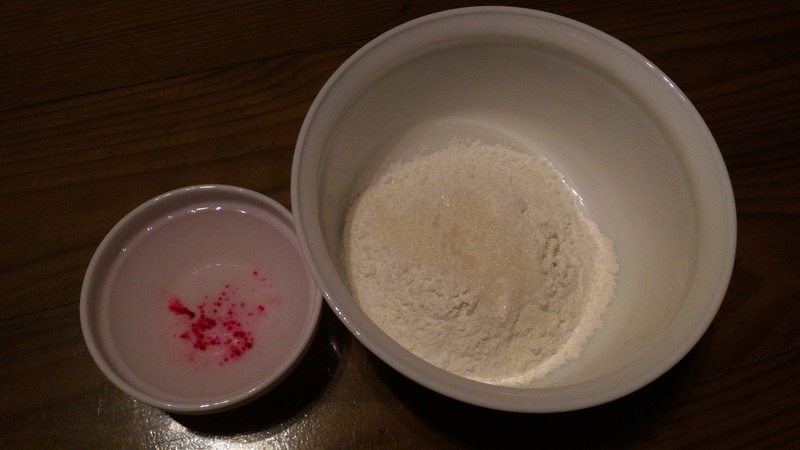 In a separate bowl, mix water and a pinch of unflavored gelatine (I used red). Mix colored water and flour mixture. Boil about 6 cups of water. Place the bowl with raw mochi mixture. 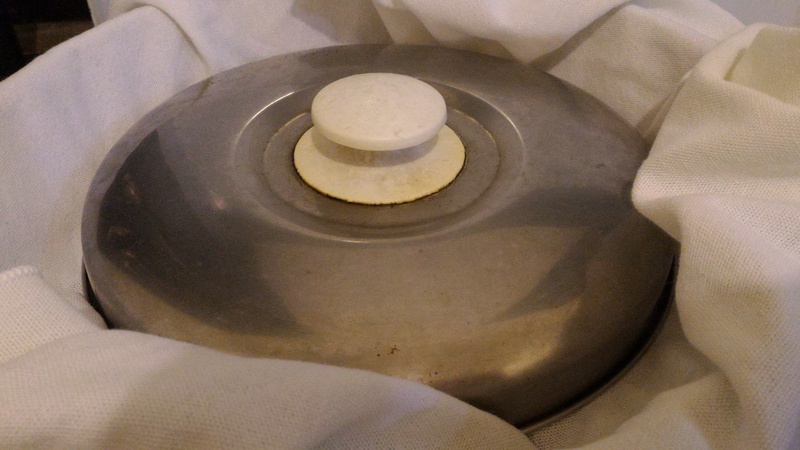 Cover the lid with a cloth (to prevent moisture from going to the mochi), then place on top of the bowl. Cook for 10 minutes. Take it out and mix well. On a sheet of wax paper (or any flat surface), sprinkle potato starch to prevent sticking. 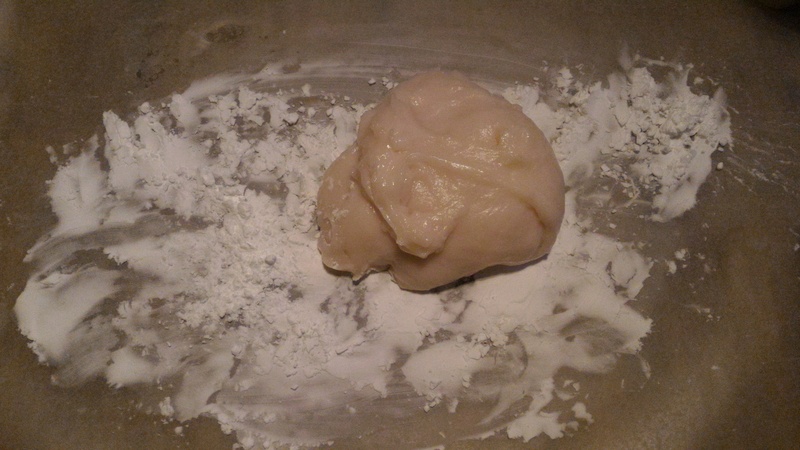 Drop the dough onto the potato starch. 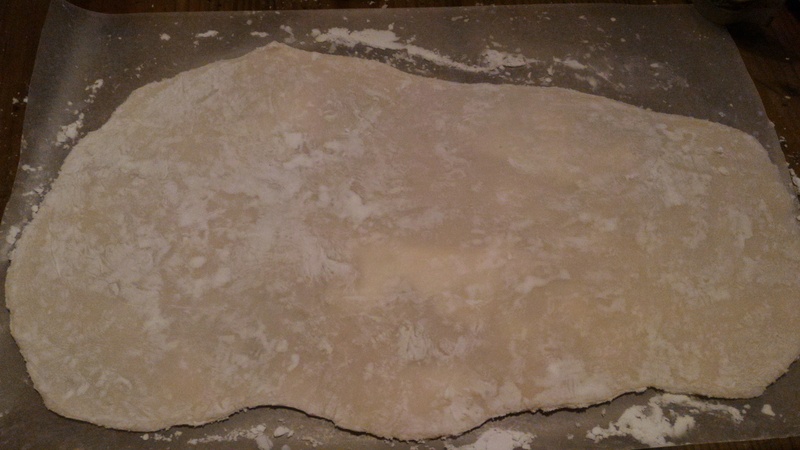 Flatten it out as thin as you can, using a rolling pin. 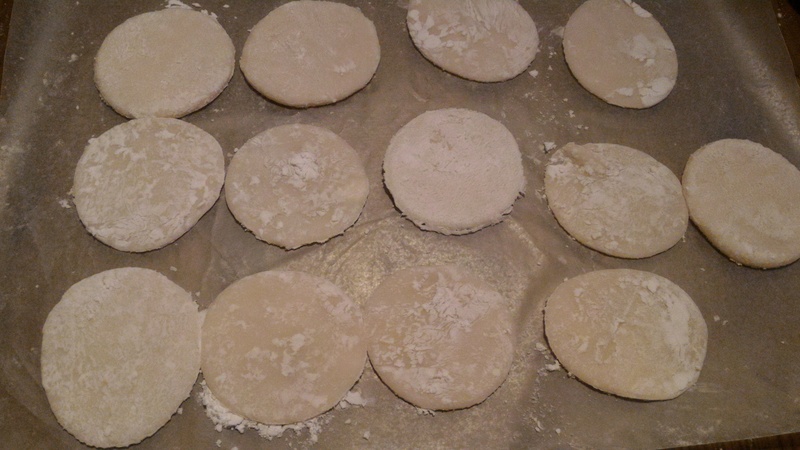 Cut dough into 2.5-in diameter circles (or to any size you’d like). 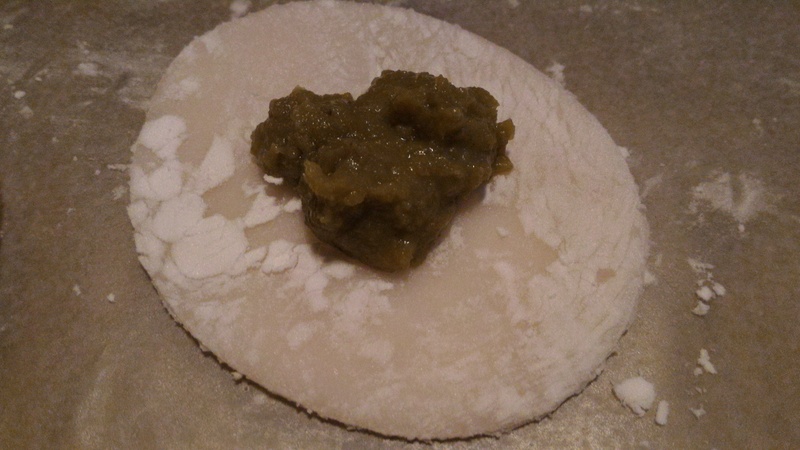 Put half a tablespoon of mungbean filling on the center of the mochi circles. 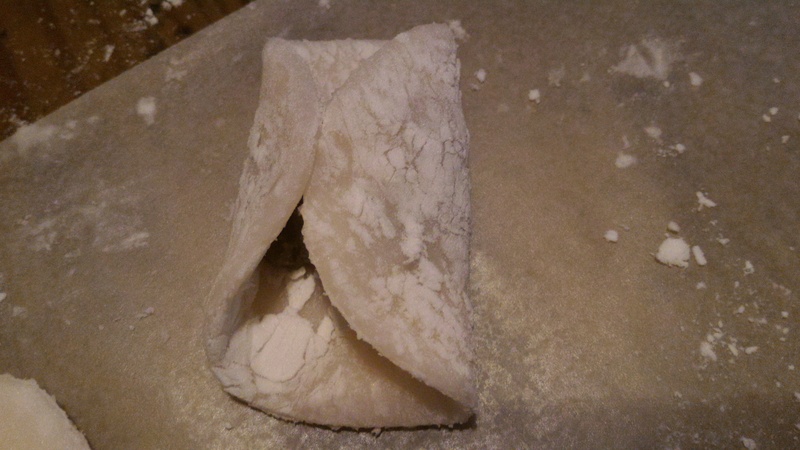 Pull the sides of the circle over the filling to cover then pinch the ends using your fingers to seal. That’s it! 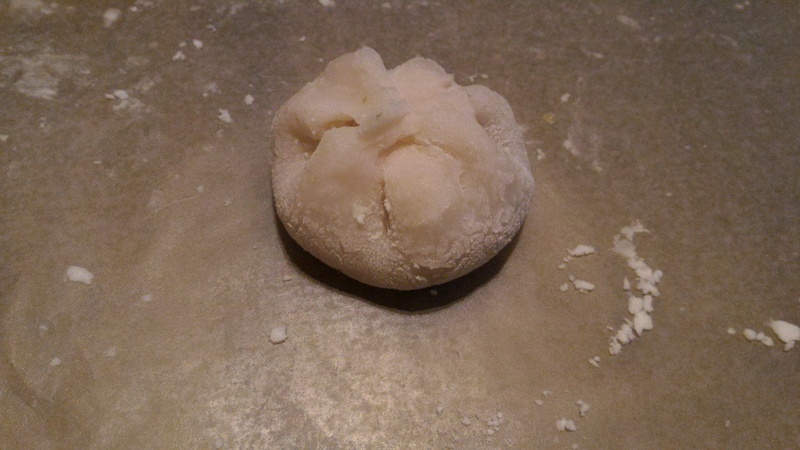 Your mungbean-filled mochi or chapssalddeok are done! I will surely make this again with different colors and fillings! Yummy! I’ve made Japanese style mochi before (from scratch, which means rinsing the rice, pounding the dough etc), but I didn’t know what to call the Korean equivalent. I hope you enjoyed them! And sorry about EXO not living next door I’d prefer if 2PM were my neighbors lol.